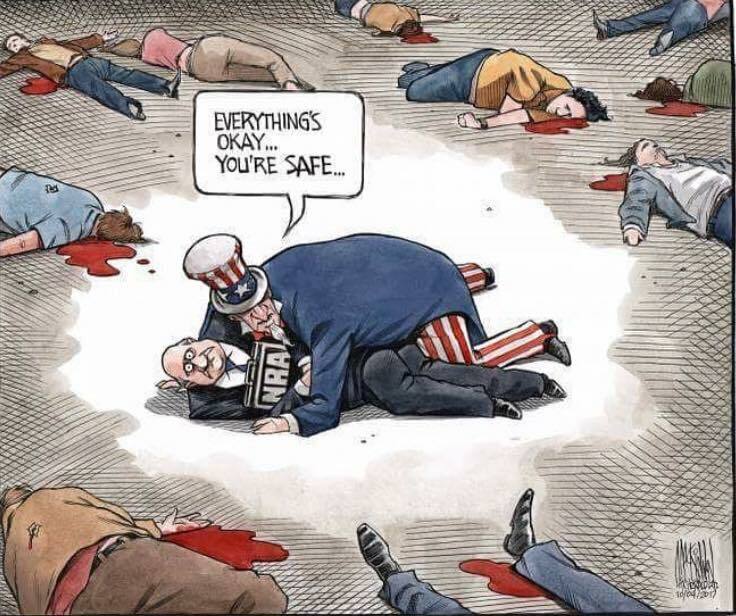 As America’s socio-economic superstructure is being relentlessly torn apart by government policies supporting extractive rent-seeking, instead of wealth creation, the NRA clings nevertheless to the belief that guns are necessary to stop the USA from being torn apart from within. The NRA has missed this travesty, because banks and other rent-seekers behave like thieves in the night. Might replace those 2 central characters with Scott Morrison and a Real Estate Agent and place empty wallets alongside the bodies.